A family of eight was displaced Thursday, and one adult suffered minor injuries, when a fire broke out at a house in the City Heights area and caused an estimated $120,000 in damage, officials said. 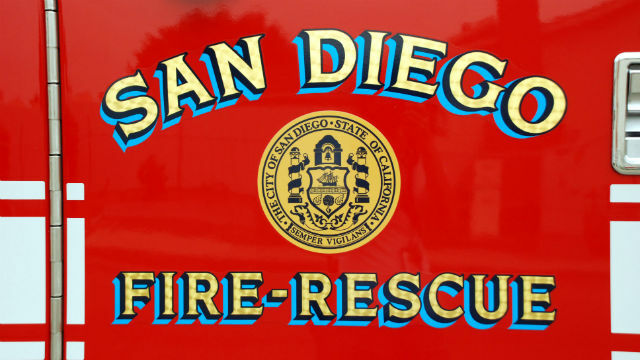 Dispatchers received reports of the blaze shortly before 12:45 a.m. at a house in the 4100 block of Marlborough Avenue near Orange Avenue, San Diego Fire-Rescue spokesman Alec Phillipp said. Crews rolled up to the scene and found flames in the garage of the single-story house, Phillipp said. The fire was contained to the garage and living area inside the home before firefighters knocked down the flames around 30 minutes later. One adult was sent to UCSD Medical Center in Hillcrest with minor injuries, Phillipp said. Three adults and five children were displaced by the fire, but did not require assistance from the American Red Cross because they found other living arrangements, Phillipp said. The blaze caused an estimated $100,000 in damage to the structure and $20,000 in damage to personal property, Phillipp said.